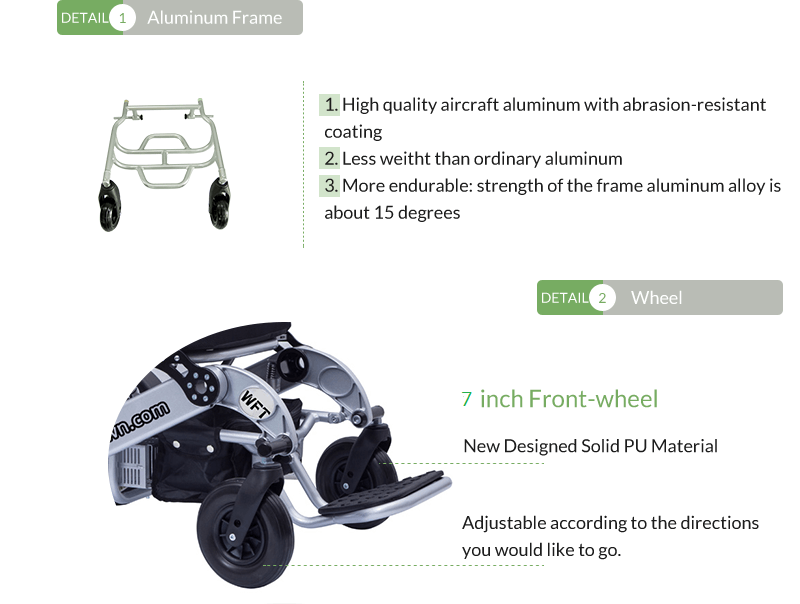 WFT-A08 Automatic Handicapped Foldable Portable Electric Wheelchair from China Manufacturer - electric wheelchair China Manufacturer Suzhou Wofftown Co.,Ltd. 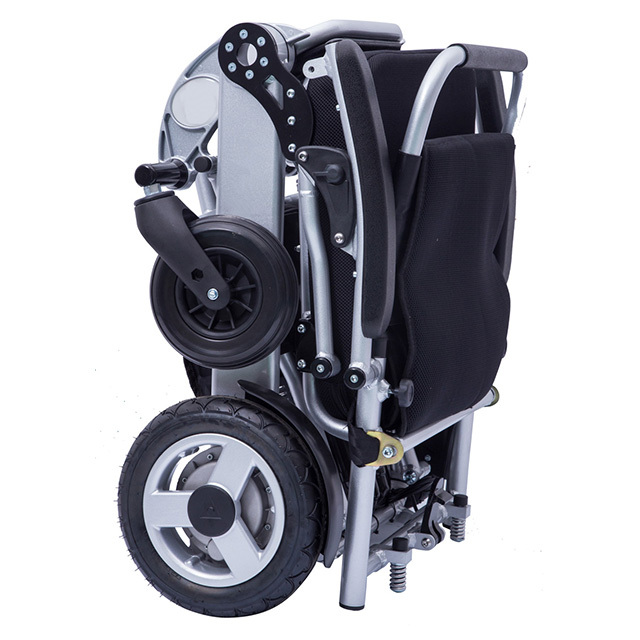 WFT-A08 Wheelchair is a wider version of our famous lightweight fast folding power chairs. 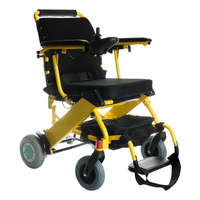 Weighs only 51lbs (23.5kg), it is the lightest model in this "Heavy duty portable power chairs". 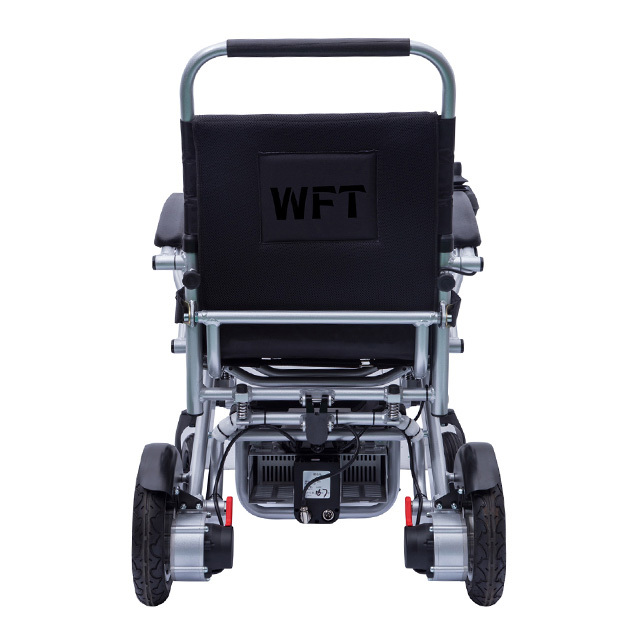 If you love our WFT-A06 or WFT-A07 wheelchair but have concerns due to body size (sit comfortably or not) or weight capacity, and if you love to drive with faster speed, WFT-A08 would be a better choice. 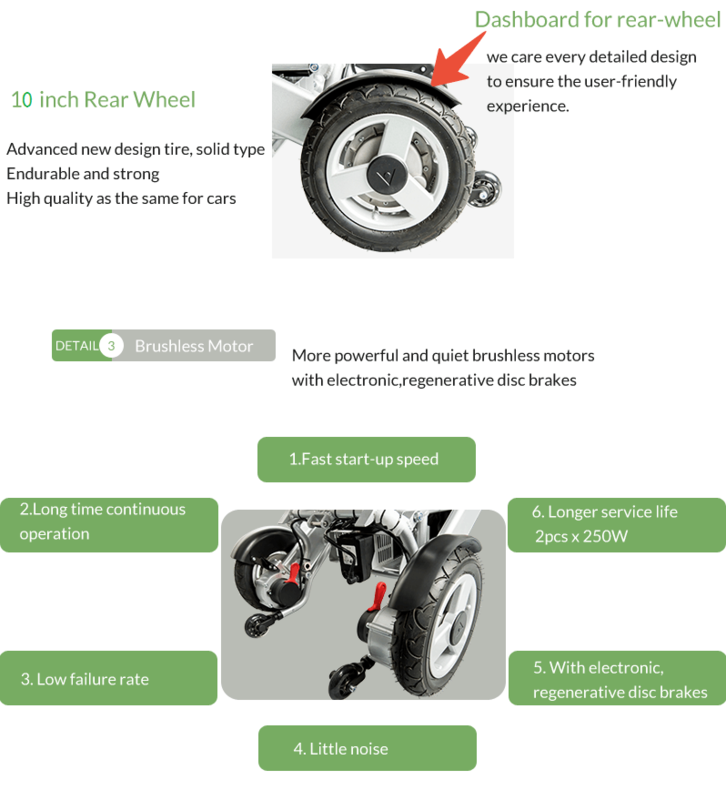 WFT-A08 Automatic Handicapped Foldable Portable Electric Wheelchair is a light power wheel chair, which can be folded in 3 seconds and in small size. It can be put in the trunk of a car or co-pilot's seat, which is portable and convenient for travelling. WFT electric wheelchair can be equipped with multiple groups of lithium battery and can realize the long distance running. More powerful and quiet brushless motors with bigger rear tires (10"), which is just right without feeling bulky. Not only our tires are made with the best texture for comfort, WFT-A08 also comes with 4 spring suspensions. 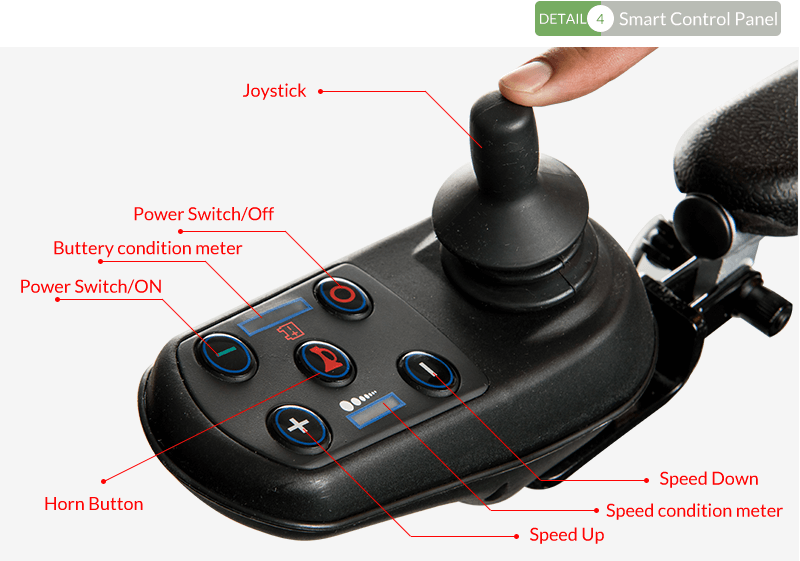 We use Easy-to-detach connector on our joystick controller, so it can be easily detached without taking off the whole cable; travelling by air would be much easier and safe. 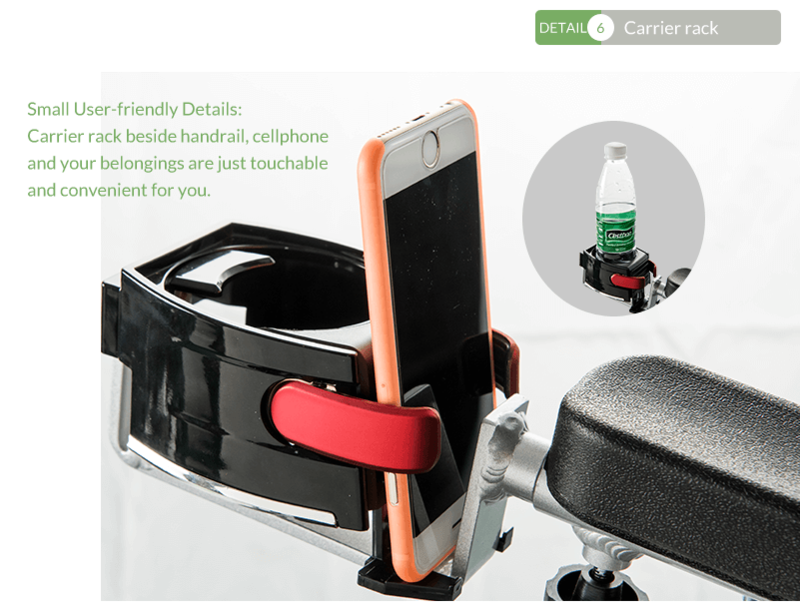 And quick release anti-tilt support for safety. 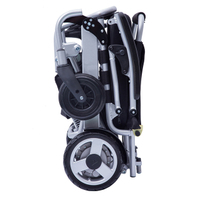 • WFT-A08 Wheelchair is a wider version of our famous lightweight fast folding power chairs. 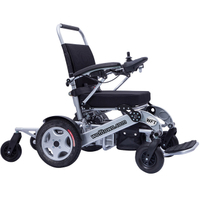 Weighs only 51 lbs (23.5 kg), it is the lightest model in this "Heavy duty portable power chair category". • More powerful and quiet brushless motors with bigger rear tires (10"), which is just right without feeling bulky. Not only our tires are made with the best texture for comfort, WFT-A08 also comes with 4 spring suspensions. We use Easy-to-detach connector on our joystick controller, so it can be easily detached without taking off the whole cable; travelling by air would be much easier and safe. And quick release anti-tilt support for safety. 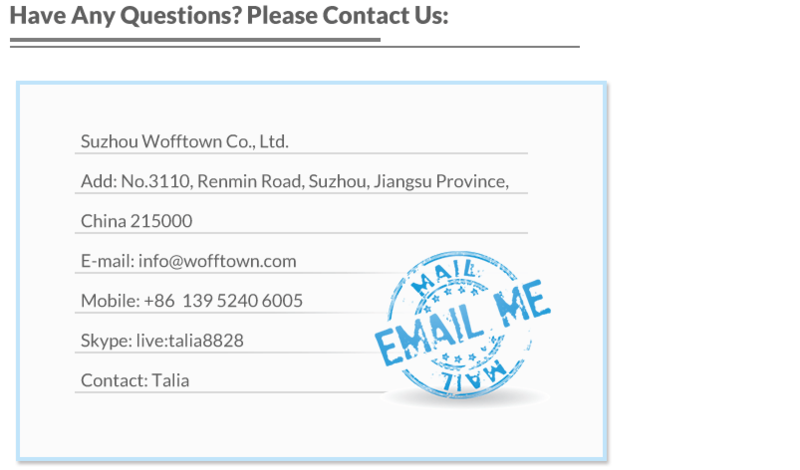 • Wofftown is the original designer and producer of the best portable power wheelchairs. We provide worldwide warranty for all our products so we will support you no matter where you travel to, and we understand the after sales service is very important. Production: frame applied more than 10 years professional aviation aluminum welding technology. Paint: Fully automatic production line, coat thickness is 20 microns. Strength meets the standard test of the grid industry. 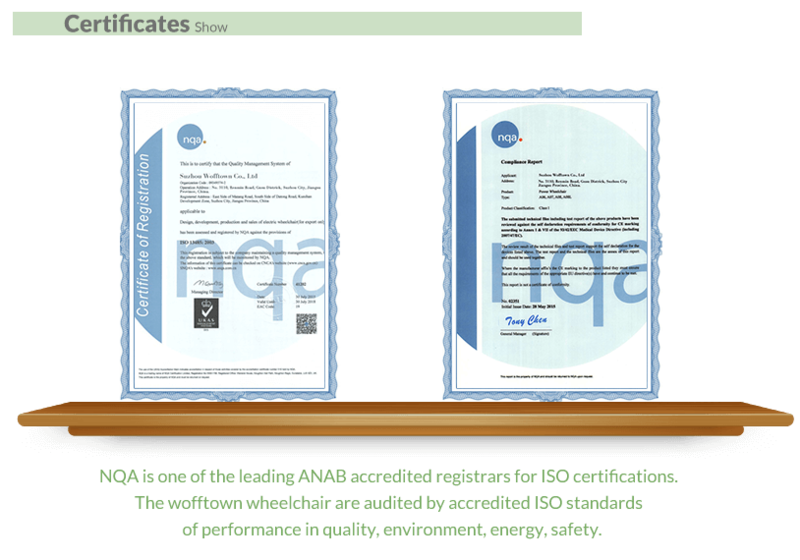 Assembly: Every wheelchair will be double inspected by WFT technicians and meet with ISO9001 manufacture standard. Q1: Can it be used in a 220V country? A: The charger is rated for 100 - 240V AC. Further you can specify the type of power cord you need for your base country, and you can also use a multiple adapter for different country's plug point. Q2: Can you purchase extra battery to swap out when it gets low? A: Yes, you can purchase extra battery, and we will connect them together with the dual battery connector. So you don't have to swap at all. 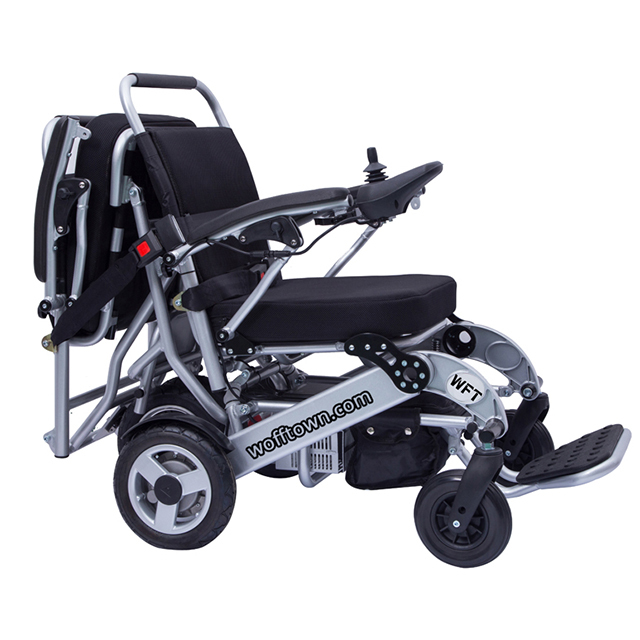 Q3: How long does it take to charge the batteries on WFT electric wheelchair? A: It takes 5 hours to charge. (It might take longer time if it is extremely cold). Q4: How many mile its battery can go after full charge? Q5: Are the tires air filled or solid? A: The front tires are 7 inch PU solid tire and also can be optional 8 inch inflatable tires. Rear wheels (motor wheel) are 8 inch PU solid tire. Q6: What’s your guarantee or the warranty of the quality if we buy your electric wheelchair? 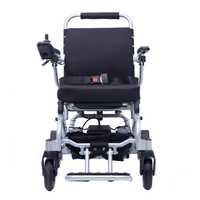 A: We offer you high quality power electric wheelchair with 1 year guarantee and supply life-long technical support. •We don’t send parts out for pretreatment, all process would be supervised under inspection department. •7 stages pretreatment meet international standard. •Baking at high temperature after power coating to ensure the paint finish. 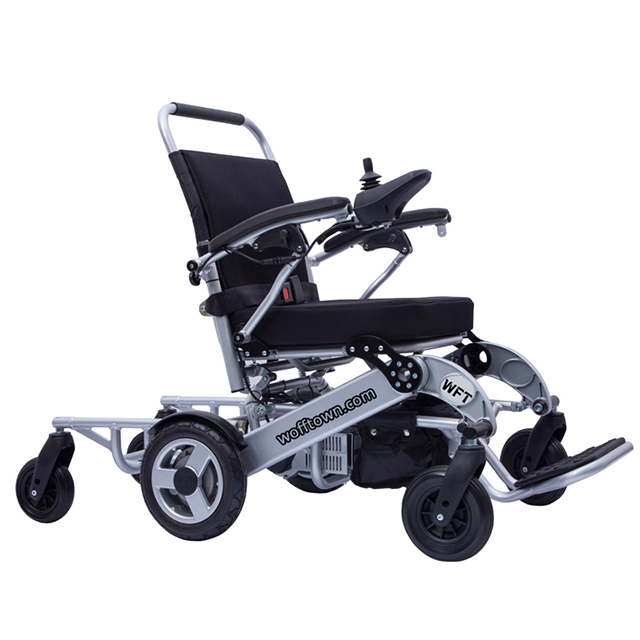 Wofftown Electric Wheelchair requires very little maintenance, but it is important to perform regular maintenance & upkeep of the device for longevity. Even a little cleaning now and again will go a long way to keeping your device looking & functioning like new. Any Certified Shop specializing in Electric Wheelchairs & Scooters, or a Trained Technician who has experience working on Electric Wheelchairs & Scooters, would be qualified to perform the service & maintenance on your WFT electric wheelchair. If you are unable to locate one on your own, and require assistance, please Contact WFT and we'll be glad to help. Q2: What is the seat width? 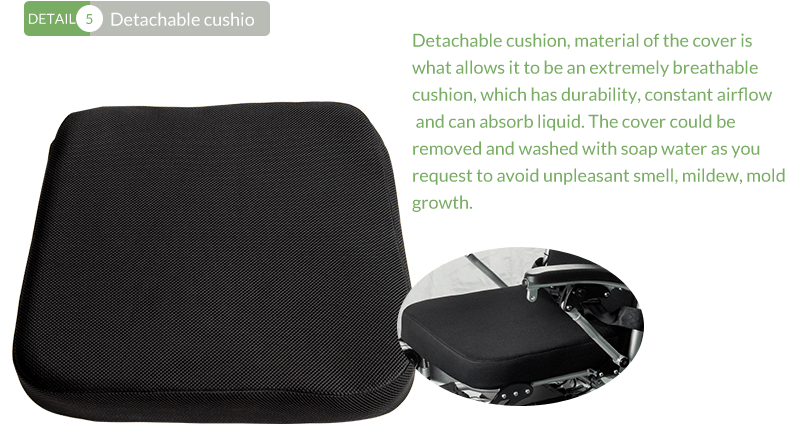 A: Ample of room with 18" seat cushion (19" between armrests). Suitable for users up to 330 lbs. (Actually it can carry more weight, but problem is whether the user can sit comfortably or not. Q3: Can you purchase extra battery to swap out when it gets low? 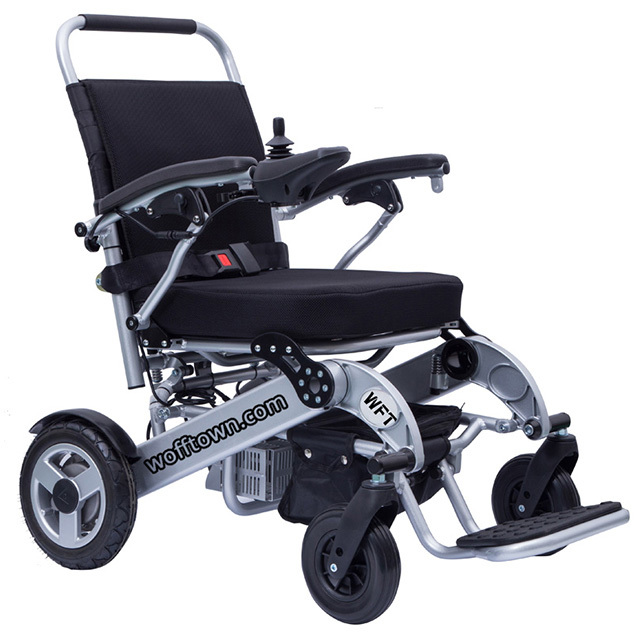 Q4: How long does it take to charge the batteries on WFT electric wheelchair? Q5: How many mile its battery can go after full charge? Q6: Are the tires air filled or solid? A: All tires are solid (Front tires made of PU), and (Rear tires made of filled PU, and therefore not very hard but trouble free).